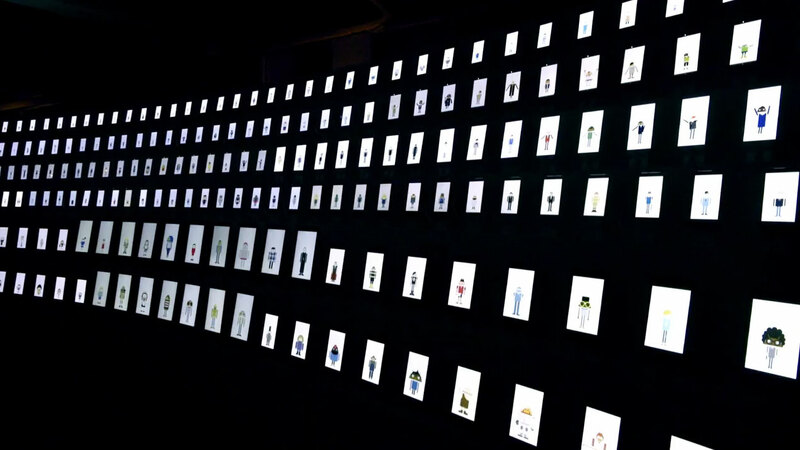 Google Japan wanted to draw attention to a little Android app called Androidify, which makes tiny android avatars. So, it synchronized 300 Android devices, each with their own little avatar, to create a tiny android avatar chorus. The digital choir was installed in the Omotesando Hills shopping center in Tokyo, where the little creatures flail their arms in time to the preprogramed music for the amusement of shoppers. Anyone brave enough can actually step up and attempt to "conduct" the tiny, tinny choir through a gesture-sensing program. If you don't want to travel there, you can enjoy the online videos of the choir performing. Apparently the stunt is more than cool. It also has some relevance to the brand message of "Be together. Not the same," since each little avatar is unique. Isn't it nice when fun things actually support your brand message instead of getting shot down by the brand police?